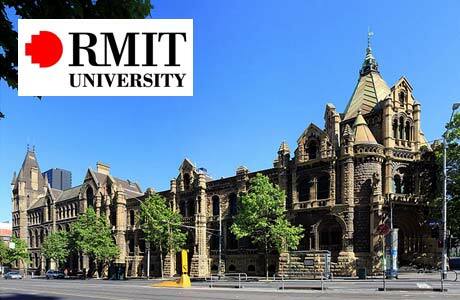 The Royal Melbourne Institute of Technology (RMIT) is one of Australia’s original and leading educational institutions, producing some of Australia’s most employable graduates. As an innovative, global university of technology, with its heart in the city of Melbourne, RMIT has an international reputation for excellence in work-relevant education and high quality research, and engagement with the needs of industry and community. The Vice-Chancellor’s PhD Scholarships (VCPS) are funded by RMIT University. > International candidates in receipt of this scholarship are also awarded an RTP International Tuition Fee Offset Scholarship (RIFOS) or an RMIT Research International Tuition Fee Scholarship (RRITFS). > All local candidates, Australian and New Zealand citizens or permanent residents of Australia are provided with an RTP Fee Offset scholarship. Applicants in receipt of an RTP Fee Offset scholarship are not required to pay tuition fees for the maximum duration of their candidature. > paid sick, maternity and parenting leave (within the limits of the Scholarship Terms and Conditions). > if you are an international candidate, you will also receive the cost of an Overseas Student Health Cover (OSHC) policy for your visa duration. If you are a local candidate, you will also receive a government-funded Research Training Program (RTP) place or equivalent. An RTP place is supported with a HECS exemption for the standard duration of the course. Applicants successful in receiving an RTP place are not required to pay tuition fees for the maximum duration of their candidature. > the cost of an Overseas Student Health Cover (OSHC) policy for the standard duration of your program. The duration of a Vice Chancellor’s PhD Scholarship is three years full-time, with the possibility of a 6 month extension subject to satisfactory progress. This will be reduced by any periods of study undertaken towards an equivalent research degree prior to the commencement of the program at RMIT University. In 2019, RMIT University will offer 10 VCPS awards. > a 4 year bachelor degree achieving a GPA of 4 or equivalent (80% or above). If you do not hold one of the above qualifications, you will only be considered for scholarship if you have previous publications or significant research experience. All other applicants will be considered ineligible. > have applied for a full-time PhD program at RMIT. Part-time VCPS may be approved for candidates with exceptional circumstances (e.g. for medical reasons or due to significant care commitments). Part-time scholarships are not tax exempt. Please refer to the Scholarship Terms and Conditions for further details. > you are currently receiving another equivalent award, scholarship or research related salary providing a benefit greater than 75% of the 2018 RTP base rate to undertake the research degree. > you have not received a program offer to commence in a PhD program in 2018, by the close of the main scholarship round (international only). > Applications for the 2019 main scholarship round are now closed. > Scholarship outcomes will be announced mid December. > Successful applicants will generally be required to commence in the first quarter of 2019. All applications will be ranked based on a model that has been approved by RMIT’s Research Committee.